On 21 August, celestial enthusiasts and casual stargazers alike across parts of the U.S. will be treated to a total solar eclipse, the country’s first in 38 years. 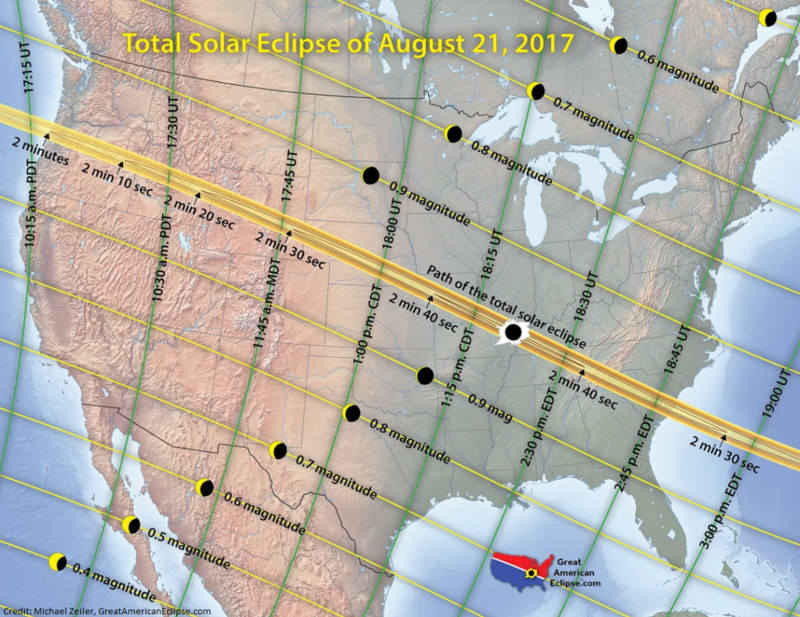 The total eclipse will be viewable from certain locations in Oregon, Idaho, Wyoming, Nebraska, Kansas, Missouri, Illinois, Kentucky, Tennessee, Georgia, North Carolina and South Carolina. 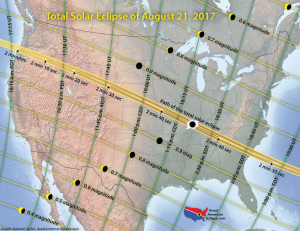 With a path of totality spanning 70 miles across, viewers in states from Oregon to South Carolina will be lucky enough to see the eclipse in its entirety, when the moon blocks out the entire disk of the sun, causing the temperature to drop by as many as 15°F and plunging onlookers into darkness. 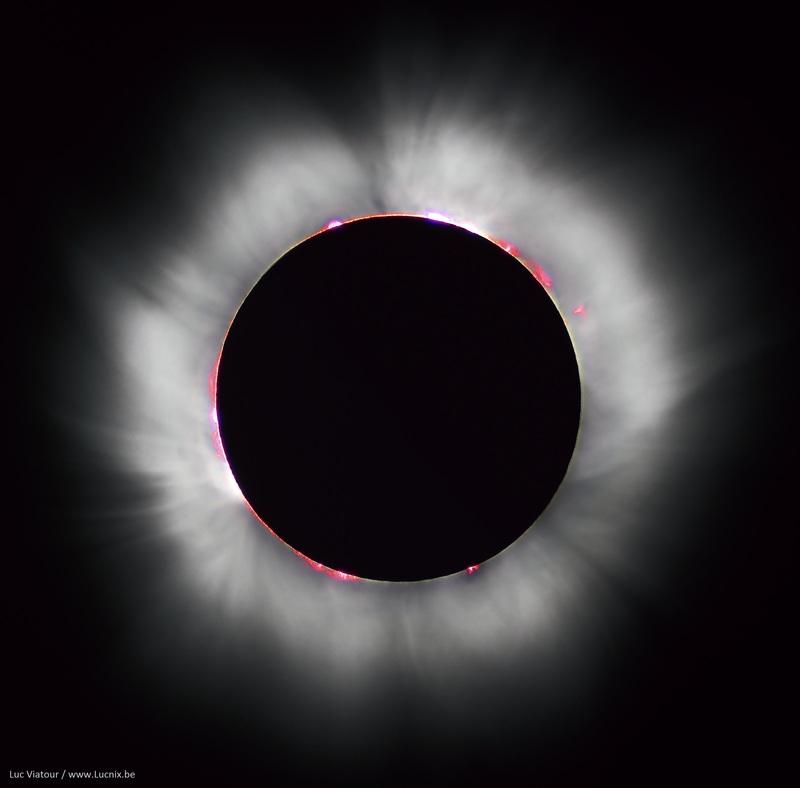 This produces awe-inspiring fiery pink ribbons of light, and immediately before and after totality, the phenomenon known as “the diamond ring effect”. For those in other areas of North America, a partial eclipse will be visible as far north as Canada and down south into parts of Mexico. To ensure the best possible view, it’s best to avoid areas with finicky weather and the coasts. Cloudy skies are the quickest way to spoil an otherwise breathtaking experience. One thing that makes this eclipse so unique and rare is that the only land to fall within its path is the contiguous United States, whereas most eclipses will pass over a number of bodies of water and land masses. In fact, the last time an eclipse touched only US soil was in 1257! If you’re travelling from out of town, make sure to book a place ASAP, as accommodations are filling up quickly! Prime viewing locations in Oregon are less than a three hour drive from Portland, and as of this writing, there is still availability at HI Portland Northwest. Another important thing to remember is that millions of others plan on making their way to check out this once-in-a-lifetime spectacle, which means roads will be jam-packed, so make sure you allow for extra time if you’re making the drive. Viewing parties and events will be taking place all over the country and not only in the path of totality. These events include everything from wineries featuring eclipse viewing brunches, science museums hosting lectures, and full-on music festivals with food and RV and tent camping. Safety is important! Even during a partial eclipse, it is not safe to look directly at the sun. Normal sunglasses, no matter how dark, are not adequate protection for your eyes. Luckily you can (and should!) safely look directly the eclipse during the couple minutes of totality. 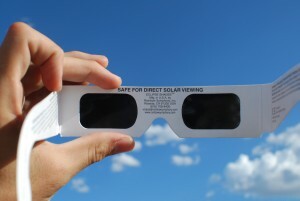 During any phase of the partial eclipse however, specialty eyewear must be worn to protect your eyes from damage. 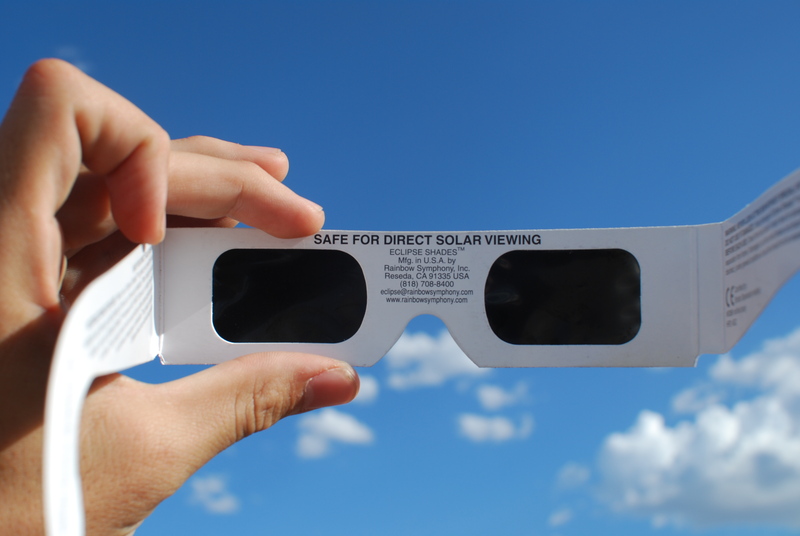 You can learn more about how to safely view the eclipse and where to buy glasses here. That being said, take the day off of school, work, whatever! and get you and your friends outside and into the path for a truly special experience! Natalie Valls, excellent informative information about upcoming eclipse.